Shown in 14K shiny white gold. 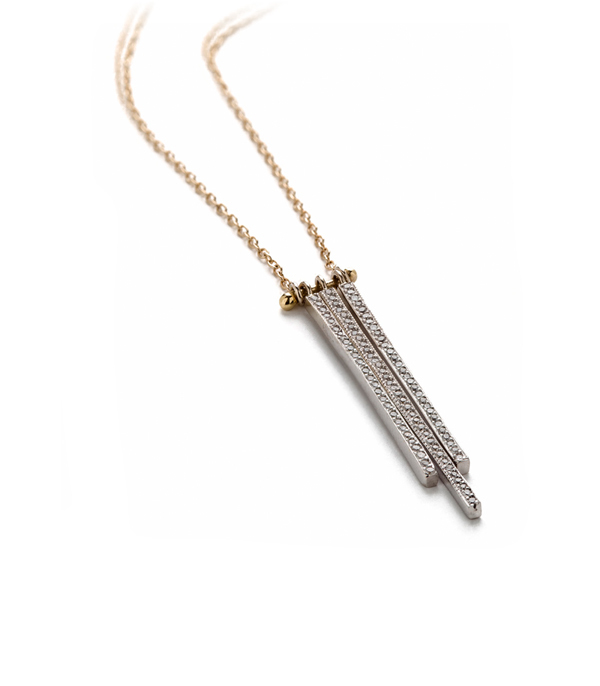 This layering diamond necklace playfully draws inspiration from a skyscraper-lined silhouette. Shimmering, clean and modern, three diamond-set bars catch and reflect light like the windows of an art deco building. 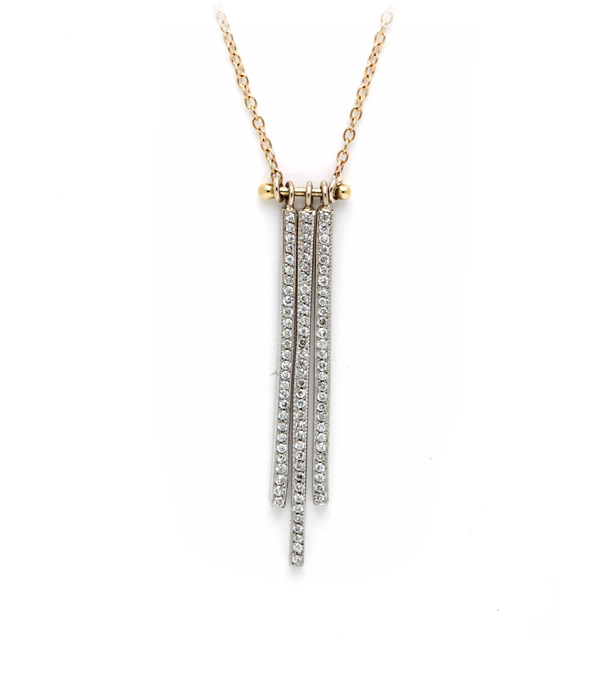 Minimal and chic this sparkling gold bar necklace is the perfect everyday piece to elevate a casual outfit while running to the Farmer’s Market or grabbing a mocha. We’d pair this stylish diamond necklace with our favorite rose cut diamond hexagon necklace for a layered look. This minimal gold necklace is set with 0.26ctw of brilliant cut diamonds and handcrafted by our artisan jewelers in Los Angeles.